The first thing you can do is to track your day. You can't fight the enemy if you don't know who your enemy is. Every time something distracts you, write it down. Every time something puts you in a bad mood, write it down. Don't worry about taking action or changing anything for the moment. Just keep your focus on tracking those 2 things. Once you are done with this experiment, go through the notebook and find out your worst enemies. A few things will be probably obvious to you. But I can ensure you that some of it will caught you by surprise. Now tackle one thing at a time. Decide which one is the worse and create a plan to deal with it. Facebook notifications is your main problem? Delete the app on your phone so you can only access it through the browser. Make sure that you don't save the password on the browser, creating an extra obstacle in case you decide to access it on the browser. Or is it you colleague that is all the time coming to your desk to tell you a new story? If that's the case, create a rule that you are only accessible when you're not wearing headphones. In the beginning he will probably forget about it a couple of times, but if you keep your position, he will soon or later learn it. I use this same tactic with emails. If you answer an email straight away, people will always expect a quicker response from you. You have to stop being reactive and start getting control of your life. You have to actively seek what you want. Don't just react to what's thrown at you. I think you got the idea: Gather information about your enemy, create a plan to beat them and execute it. 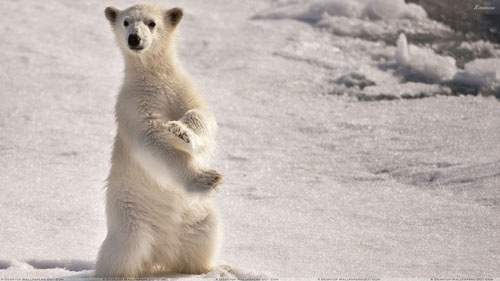 Before start reading this, please stop for 30 seconds and think about anything you want, except for a white bear. How hard was to not think about the white bear? One day when Tolstoy was young, his old brother told him to sit in a corner and leave it just when he could stop thinking about a white bear. What happened? His brother came back much later and Tolstoy was still there in the corner. He couldn't stop thinking about a white bear. Intrigued by this story, Wegner set up a similar study that asked participants to think about anything but a white bear. As you can probably imagine, the results were the same. He later named this effect as ironic rebound. The more you try to push a thought away, the more it gets back. Ok, but what's the connection between a white bear and attention span? If you've done your job on tracking your enemies, you are now aware of what's distracting your attention span. Like we've seen in my first point, there are a few things that you can do to eliminate distractions. But there are others like calls, messages or even your own thoughts that will still try to interrupt you. The point is: If you try to push it away, you will likely fail. What you should do instead is to accept the white bear. Just remember that you don't have to act on it. While not controlling your thoughts, you still have to control your behavior. You just got a message on your phone. Acknowledge it and get back to what you are doing. Accept that you lost your attention span for a few seconds and then put your focus back on what you were doing. Don't let yourself go with the distraction. This is definitely not easy, but you can train your brain to do that. The more you become aware of it, the best you will handle these situations. One of the best ways to train your brain to accomplish that is by meditating daily. Meditation can significantly improve your focus. This is very similar to the Feynman technique. Once your learn a new concept, stop and give you 30 seconds to write down an explanation with your own words. Imagine that you are explaining it to someone who never heard about it. By doing this, you will be using a principle called active recall , which actively stimulates your memory during the learning process. Look, it's ok if you don't stick with the 30 seconds. The idea is that you shouldn't overthink it. Just write it down in your own words. This way you will also realize your knowledge gaps, so you can get back to the material and understand it better. Then you can give you another 30 seconds and try to explain it better. Repeat the process until you feel that you've done a good job. It took me some time to implement this technique on a daily basis. What I suggest you is to start small. If you are reading a non-fiction book, try the 30 seconds rule for every chapter that you read. When you feel comfortable with it, start implementing it in other areas of your life. Have you ever read about a new idea in the morning and when you meet a friend at night your memory doesn't help you to describe it again? It turns out that we need to be exposed to new ideas with a certain frequency to fully understand and memorize it. And in order to optimize it, this frequency should be spaced over time. Most of us think that we know certain things just because we have easy access to it (Google, Wikepedia, etc). But if we don't have our phone with us, we suddenly don't have all the answers anymore. In order to really understand a concept and be able to clearly explain it to someone else, you need to use spaced repetition. 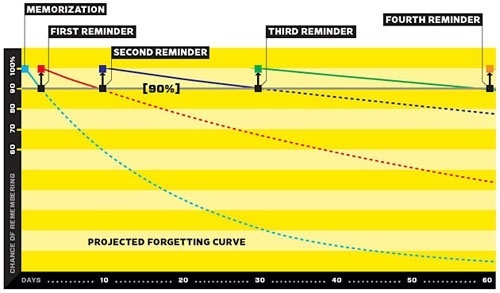 The concept of spaced repetition is great, but the problem that I faced at first was to how to implement it in my daily life. I had then to find a system to make it works smoothly. That was when I stumble upon Anki, a tool that does exactly that. You add a concept to it, and it will remember you to recall it in the future utilizing the spacing effect. The better is your understanding about a specific subject, the more spacing it will add. Then I open Anki a few days a week and recall those concepts. Before I conclude this answer, I would like to remember you that these tips will barely work if you are not taking care of yourself. Have a good night of sleep, drink a lot of water, eat healthily and do some exercise. Without this, your brain will not function at its high potential and no matter how many hacks or techniques you learn, it will not be enough to improve your attention span and memory.